Banks and other financial institutions, like credit unions and mortgage banks, offer a variety of mortgage loan products. These mortgage loans vary by term anywhere between 15-year mortgages and 30-year mortgages, as well as 5/1 ARM mortgages. The 20-year mortgage is not as popular as the other mortgages, but perhaps they should be. Mortgage loans also vary by whether they are fixed interest rate mortgages or adjustable interest rate mortgage loans, also called ARMs. The adjustable interest rate mortgages may have a fixed component and an adjustable rate component. An example is the 5/1 ARM loan. ARM stands for adjustable rate mortgage. There is no such thing as “one size fits all” when it comes to a mortgage loan. Some borrowers may prefer a longer term mortgage with lower payments and some a shorter term mortgage with higher payments, both depending on their income and individual goals. Some will prefer a fixed rate mortgage so they will always know what their mortgage payment will be from month-to-month. Others may prefer an adjustable rate mortgage with a fixed component at first since their incomes’ may be lower in the early years of the mortgage and higher in later years when the payment could spike up. The 20-year mortgage loan, with a term and an interest rate lying somewhere between other mortgage loans might be preferable to some people. Here is a comparison of some of the more common mortgage loans with the 20-year mortgage loan. Comparing principal and interest payments for a house valued at $220,000. 15-Year Fixed Interest Rate Mortgage $1,655 4.25% $77,902 Heavy savings in terms of total interest cost; Build equity more quickly in your house Not everyone can afford the higher monthly payments. A 30-year fixed rate mortgage loan is the most popular of all mortgage loan types and terms. Approximately 89 percent of all home loans are 30-year loans. They are especially popular with first-time home buyers. They have the lowest monthly payments, usually, because they have the longest time to payoff. Calculating the principal and interest payments on a mortgage is amortization. If you buy a house using a 30-year fixed rate mortgage loan that costs $220,000, your monthly payments will be $1,215 and the total interest cost over the 30-year term will be $217,345 if the interest rate is 5.25%. The advantages of this type of mortgage loan is that monthly payments are lower, so it is easier for lower income individuals to qualify. A disadvantage is that it takes 30 years to pay it off, although this may not be as much a disadvantage as in the past. People don’t usually stay in the same house as long as they once did. Another disadvantage is the high total interest cost since the interest rate is the highest for the longer term loan. The 15-year fixed rate mortgage loan is the shortest term mortgage loan usually offered by financial institutions. It is the next most common loan to the 30-year loan comprising about 8 percent of all mortgage loans. It also usually has the lowest interest rate. Due to the short term, it has the lowest risk but the highest payments. If you borrow the same $220,000 for a house using a 15-year fixed rate mortgage loan at 4.25% interest, your payments will be $1,655 per month and your total interest charge will be $77,902. Your payments will be $407 higher per month but you will pay a huge $139,443 less in total interest charges over the life of the loan. Not everyone can afford an extra $407 on top of their house payment every month and that is the disadvantage of the 15-year mortgage loan. The advantage is that you save so much money in total interest charges. You will also build equity more quickly in your house. The 5/1 adjustable rate mortgage loan is appropriate for some homebuyers. For the first five years of the loan, the interest rate, which is usually lower than that for the 30-year mortgage, is fixed. 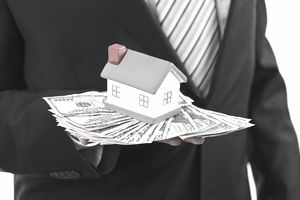 For the remainder of the 25 years of the mortgage, the interest rate moves up and down with a financial index, often the U.S. Treasury Index, plus a margin. This loan is appropriate for people who are only going to stay in their home for five years or if interest rates remain low, for longer than that. It’s also sometimes the only choice for homebuyers who don’t have excellent credit. A 20-year fixed rate mortgage loan is not as common as some of the other mortgage loans. In 2013, 20-year loans comprised less than one percent of the loans made for mortgages. If you do an amortization schedule for a 20-year loan on a house costing $220,000 at an interest rate of 4.75%, your monthly payment will be $1,422 and your total interest charges will be $121,206. Your monthly payment is right in the middle of the 15 and 30-year loans, but you get your house paid off ten years sooner than you do with the 30-year loan and only five years longer than with the 15-year loan. That is a clear advantage to the 20-year loan. Another advantage is that the total interest charges are not as high as you would expect them to be compared to the interest charges on the 30-year loan. They are higher than the interest charges on the 15-year mortgage loan, but not proportionately as low as you might expect compared to the 30-year mortgage loan. Other advantages to the 20-year fixed rate mortgage is that the payment is closer to the 30-year loan, but the time to payoff is closer to the 15-year loan. The 20-year loan is a good loan to use for refinancing. It is very expensive to refinance using a 30-year fixed rate mortgage loan because you start all over with a 30-year amortization. Does a 50 year mortgage make sense?